To meet a growing need in Outdoor Education, the Institute for Outdoor Learning is now providing a system of courses to equip those of you who are/aiming to use bushcraft skills as part of your programmes. These full 3-day training courses have been created by the IOL Bushcraft Professional Practice Group using some of the most experienced trainers of bushcraft in the country. 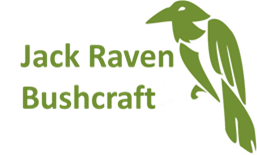 This is provided by individual bushcraft training organisations; Jack Raven Bushcraft is proud to be one of them. The syllabus meets the IOL Statement of Good Practice. Natural navigation using shadow sticks, a watch, the moon and stars. To be added to the register of holders of the IOL Bushcraft Competency Certificate, you will need to log 120 quality hours and attend a seperate assessment, as well as join the IOL and the Bushcraft Professional Practice Group. Memberships and assessments are administered through the IOL. Take a look at our ‘IOL Hall of Fame‘ to see photos of the people we know have successfully taken their assessment. You can see our entire course schedule here. There is an addirtional cost for the assessment; currently it is £165, payable to the IOL. This is an excellent course that covers a wide variety of bushcraft skills, but what is particularly helpful is that instead of just showing one method of doing something, for example lighting a fire or building a shelter, Gary breaks it down into the various steps explaining the likely causes of problems for each and how to avoid them, as well as different ways of doing things for people with differing physical abilities (for example the use of heavy logs as a weighted bearing block for fire drill for people who may not have the pysical strength to apply sufficient pressure). The course progresses in a logical order, with different techniques building on the techniques we learned earlier, and a lot of material is covered but there's still time to practice the trickier skills like fire by friction. I have just attended the IOL BCC at Jack Raven Bushcraft. Very knowledgeable, professional & friendly. I would highly recommend them to anyone that is considering bushcraft as part of their business or for those that would like to increase their bushcraft knowledge. Just come home from the three-day competency certificate intro course and loved it. The team are incredibly friendly, helpful and supportive. They really know their stuff. The site is beautiful and it helped we had three gorgeous sunny days in October. And the food is delicious! Thank you Gary, Nicole, Peter and Bob! And it's so lovely to meet other like minded people learning bushcrafting. This course had exceeded expectations. I booked my place on a whim during the incessantly wet winter and went into it with no formal experience of bushcraft. It's easy to waste money on courses that inform but have no purpose if you are thinking of using it for employment purposes or to put on your CV. This course is accredited by the IOL and demonstrates that you have met a standard of skill sets which will help to prepare you for working in the outdoor industry. You will, if you take an assessment, have tangible proof of your training through an accredited certificate. Although, even if you're just doing this as a hobby, it's still very interesting regardless of whether or not you want to continue on to taking an assessment. The three days were packed with useful information. Plenty of time to practice difficult skills such as friction by fire but not so much that it felt like the task was being used as filler due to lack of other tasks. Look at the syllabus. There is a lot to learn and the way Gary does it you know you're with somebody who's passionate about bushcrafting. What I really appreciated is that, although the course is kind of geared towards experienced bushcrafters, I had not really read up about it at all but there was no sense of Gary being disdainful to my lack of knowledge. On the contrary he was very approachable, so a great teacher who managed the group impeccably. The location was great. The lovely coppiced woodland with a diverse range of trees and grassed areas for pitching our tents turned me into a true forest dweller to the point that on the final day I squinted as I emerged out into the blistering sunshine for perhaps only the second time in three days. The food was great too. I'm a pig but what there was filled me sufficiently. I'd certainly consider his foraging course after this experience. Just gotta train for that assessment now! I went on the course with no previous experience whatsoever and within a few hours I had a basic knowledge of knife skills, wood carving and my first fire by friction. There's a lot to cover on the course but it was taught clearly and at the right pace so I've managed to retain almost everything I was taught. It was clear that everyone involved in the course had a huge love of the outdoors and as a result they have assembled far more knowledge than I could possibly get out of them in one weekend so I'll definitely be returning soon to learn some more. This course is Approved by IOL. This means that it has been through a quality assurance process covering the experience and procedures of the organisation, the design of the course and the qualifications/experience of the trainers. If you have any concerns about the quality of this course, please talk initially to the course staff and organisation. If there are still problems, please contact the IOL office.